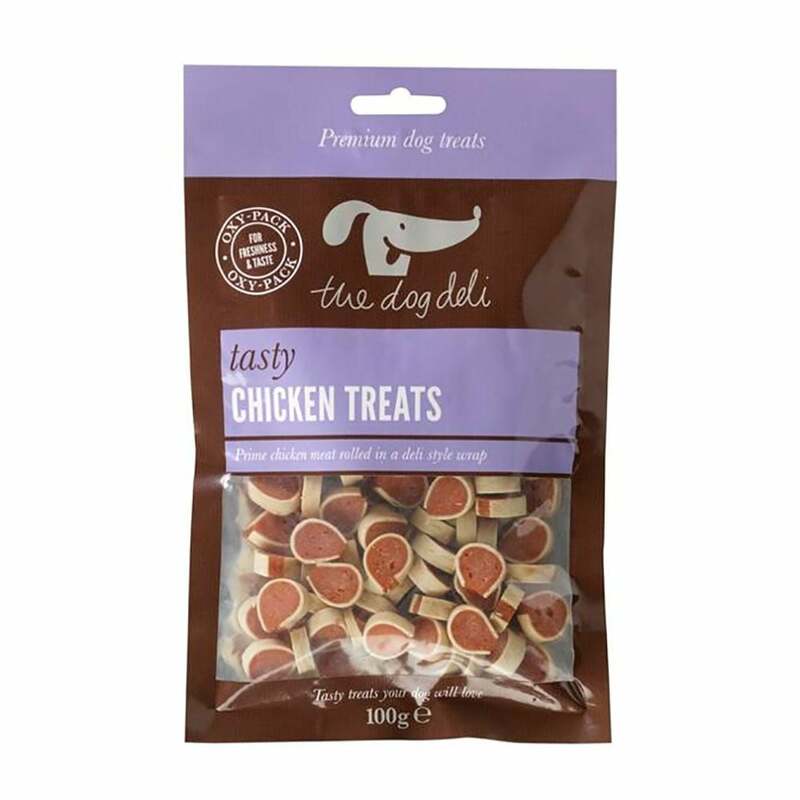 The Dog Deli Chicken Treats are small sized pieces of tasty chopped chicken in a deli style wrap. Vacuum packed in an oxygen free environment for freshness, these treats are ideal for training or as a small reward. Please note: These treats are not suitable for puppies under four months.